After living in the new Mecca of Tejano music, Dallas, Tx, for 25 yrs, I finally moved back to my original home town in July 2002, the Tejano Music Capital of the World San Antonio, Tx. 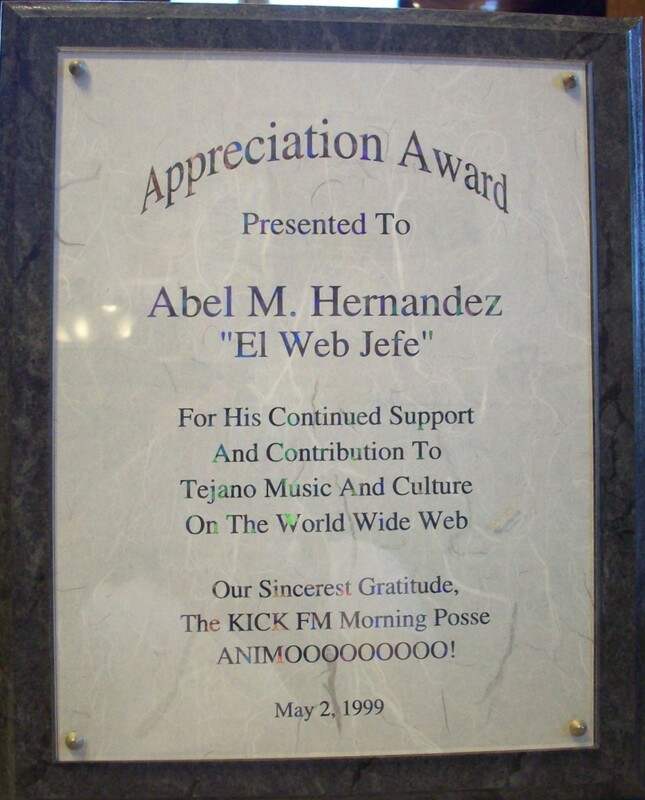 I created La Onda Network in Aug '95 to make a permanent home for the original Tejano Home Page. 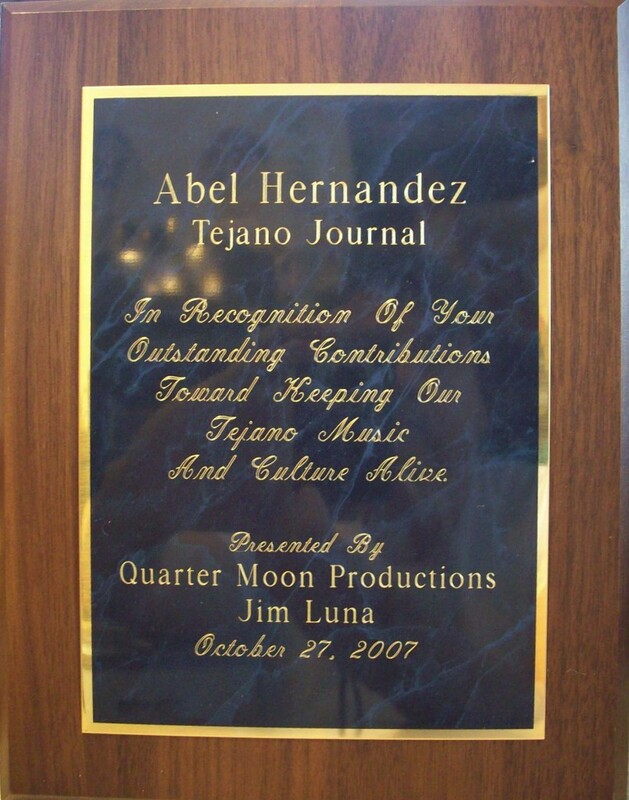 The Tejano Home Page was originally created on Mar '95 to provide information mainly on the Tejano music scene out there. Now, I also have added the Tejano Ads to provide absolutely the most inexpensive Internet Presence for all Hispanics/Latinos who would like to be on the Internet. On April 3, 1995 I created the Tribute to Selena web page. I created this site to have a central place for Selena information. This is an unofficial Selena web site and is in no way associated with Q-Productions or Los Dinos. One of the main reasons I created this website is because back in Oct '69 I got drafted into the US Army. I ended up staying in Germany for 3 whole yrs. I missed the family, the food and the music. I'm hoping this website will help fill in some of the gap to all of those people in the arm forces or others that are working/living in other states or countries that don't provide Mexicano/Tejano music and news. Click here to read more about how Ondanet.com was started. FIRST - WebJefe of La Onda Tejana! FIRST - Tejano music Web site with photos, music samples, bios, etc. FIRST - Selena web site. Some articles/accomplishments about me or La Onda Network/Tejano Home Page. Luckman's Official 1998 WWW Yellow Pages. Received 4 out of 5 Stars. Been on radio in Dallas, El Paso and Atlanta.